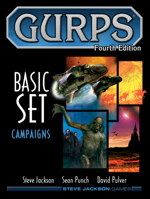 Having trouble finding GURPS Characters or GURPS Campaigns? Good news! They're getting reprints in August, so they should be widely available again soon. With GURPS, you can be anyone you want -- an elf hero fighting for the forces of good, a shadowy femme fatale on a deep-cover mission, a futuristic swashbuckler carving up foes with a force sword in his hand and a beautiful woman by his side . . . or literally anything else! 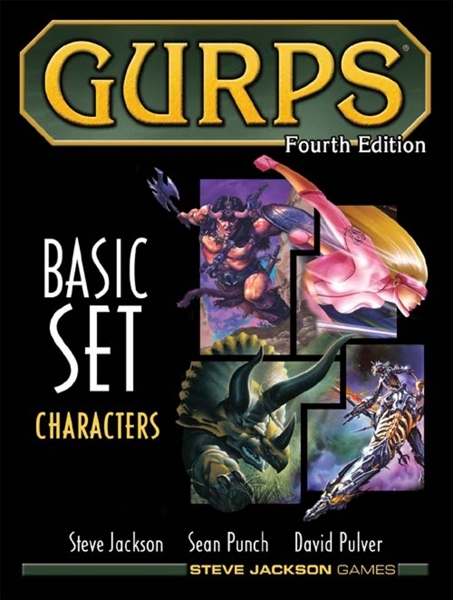 GURPS has been the premiere universal roleplaying game for almost two decades. The new Fourth Edition makes it even better! 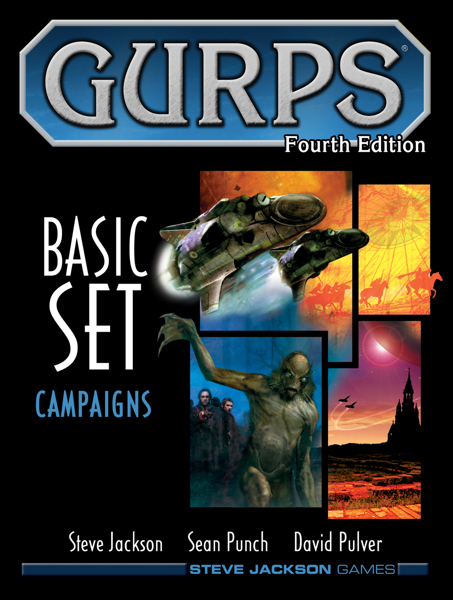 GURPS Basic Set: Campaigns combines information from the Third Edition GURPS Basic Set and GURPS Compendium II -- plus our new core setting, with infinite possibilities for timeline-hopping adventure! (You don't have to play in the core setting -- there isn't some game-altering metaplot -- but it's there if you want it.) 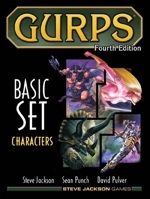 This 240-page, full-color hardcover contains everything a GM needs to create and run a GURPS Fourth Edition campaign.